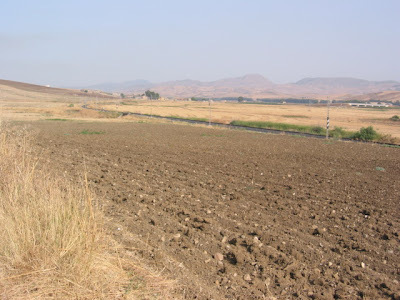 One of the results of so much sun in Sicily is the very dry and sometimes barren countryside - this first photo is taken en route from Enna to Catania. 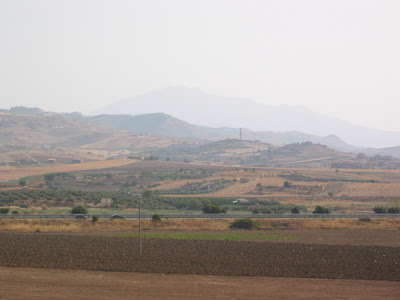 It was a VERY hot day that day, so we were thankful that the climb to Enna the day before was rewarded by a more downhill ride to the coast!!! En route to Catania is Mt Etna which you can see in the distance in the second photo. This mountain is very impressive and could be seen for quite a few days as we travelled past it and up the coast. 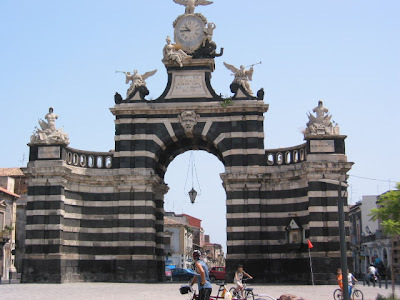 We have enjoyed all of the city gates, and Catania was no exception - this one was quite different to others that we have seen. 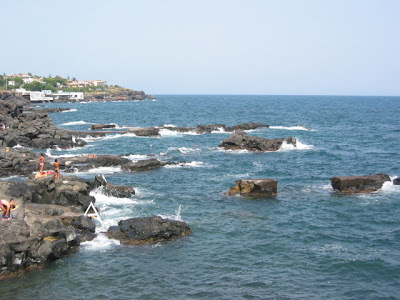 We have also enjoyed VERY MUCH the Sicilian beaches - the water is beautiful. Photo 4 was taken from our campground - we had a little bit of sand and lots of rocks to swim off. 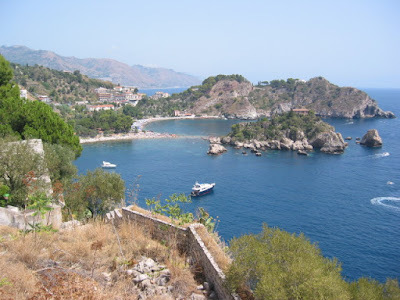 The coastal towns in Sicily were very very busy (and the campgrounds packed), and we passed many packed beaches, like this one we saw from on high en route to Messina. 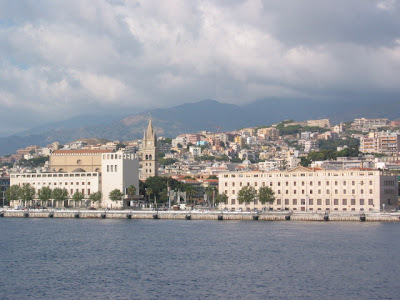 The last photo was taken as we left Messina on a 20min ferry to Reggio Calabrio in the south of the mainland.